Information is power. Few people can make a living, hold their governments accountable, and educate their children without a healthy supply of free- flowing information. Citizens need accurate, timely, independent news they can trust. So do businesses and markets. And so do governments. Media freedom keeps societies and economies vibrant, energetic, and healthy. When the free flow of news and information is cut off, individuals suffer. Societies suffer. Economies suffer. But even as we observe World Press Freedom Day this year, threats against journalists are rising. As of last December, the Committee to Protect Journalists counted 179 reporters in jail around the world. And journalists continue to be threatened, attacked, disappeared, or murdered for trying to report the news. Yet too many governments attempt to censor the media, directly or indirectly. Too many investigative journalists are being silenced, many for exposing corruption – at local, state, or national government levels. Too many attacks and murders of journalists go unpunished. In some cases, it is not just governments attacking, intimidating, and threatening journalists. It’s also criminals – drug cartels – terrorists or political factions. When journalists are threatened, attacked, jailed, or disappeared, other journalists self-censor. They stop reporting stories. They tone down stories. They omit details. Sources stop helping them. Their editors hesitate to print stories. Fear replaces truth. All of our societies suffer. Like Estonia, the United States looks to all governments to take the steps necessary to create the same space we Americans and Estonians have enshrined in our societies for independent journalists to do their work without fear of violence or persecution. We pay special tribute to those courageous journalists, bloggers, and citizens who have sacrificed their lives, health, or freedom so that others could know the truth. 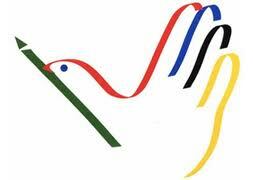 And we honor the role of free and independent media in creating sustainable democracies and open, healthy societies. Great post Michael. I couldn’t agree more. It is sad, but true the way independent journalism is going these days. Censorship can cause some issues as to proper information does not always reach the public. Informed people can become educated people and educated people work to better the world. Interesting blog you have here, thanks for sharing your thoughts on being a diplomat. I am looking into the career myself.